When BMW teases, it's more like bullying. 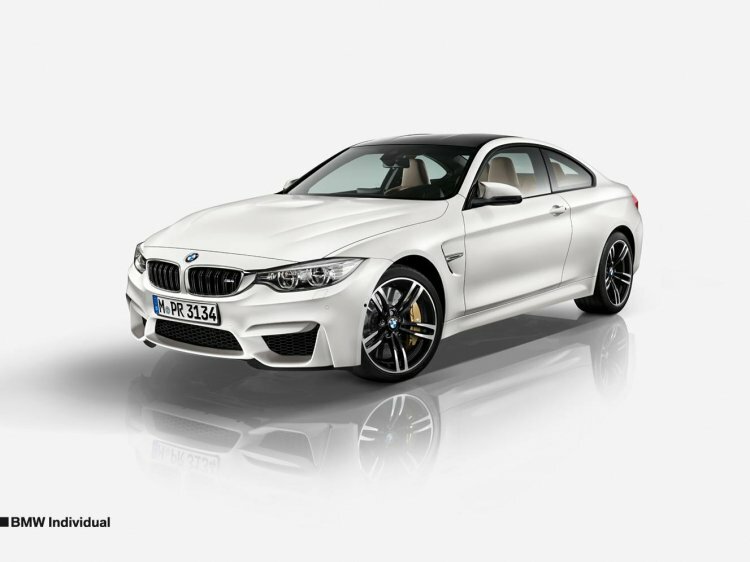 BMW released teasers of the 2014 M4 and M3 in the 'Individual' variant, sporting the Azurite Black and Mineral White body colors. Whilst the M3 will only be available as a sedan, the M4 Coupe is likely to get a convertible version as well. The images, released on Facebook, show the M3 sedan' and the M4 Coupe's interiors as well. The interior features Merino leather in Amaro Brown with fine-wood trims called Plane Auburn dark. These come as part of the BMW Individual customization package. Both the M3 sedan and the M4 Coupe will be unveiled at the 2014 Detroit Auto Show. The 2014 M3 and M4 will be unveiled at the upcoming Detroit Auto Show. Whilst the M3 is likely to remain as a sedan (no, this is not throwing a challenge at BMW's overworked product planners), the M4, following this Coupe, will get a drop-top version. 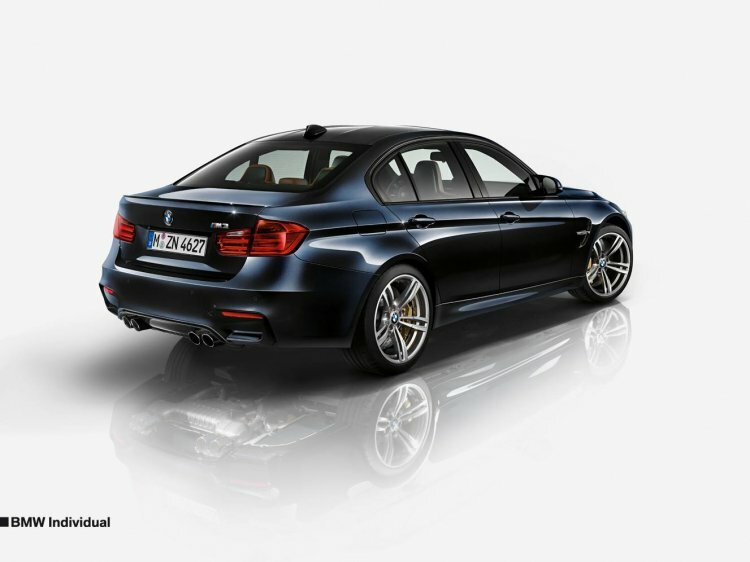 Both M versions will be powered by an all-new 3.0-liter inline-six-cylinder engine. 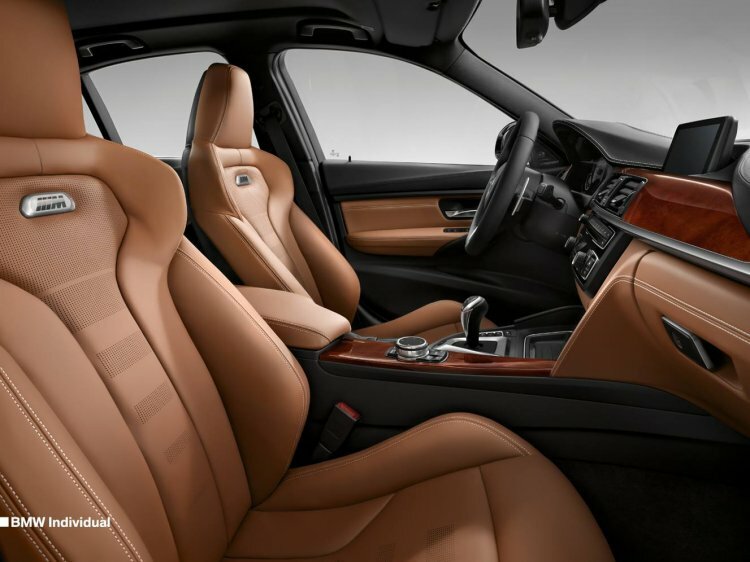 The interior features Merino leather in Amaro Brown with fine-wood trims called Plane Auburn dark. Both cars will produce identical power and torque outputs - 430 bhp and 500 Nm respectively - thanks to BMW's TwinPower Turbo technology. As for the car itself, weight reduction has been a mantra for BMW's engineers and it's rumoured that the M3 could mostly weigh less that 1,500 kg. 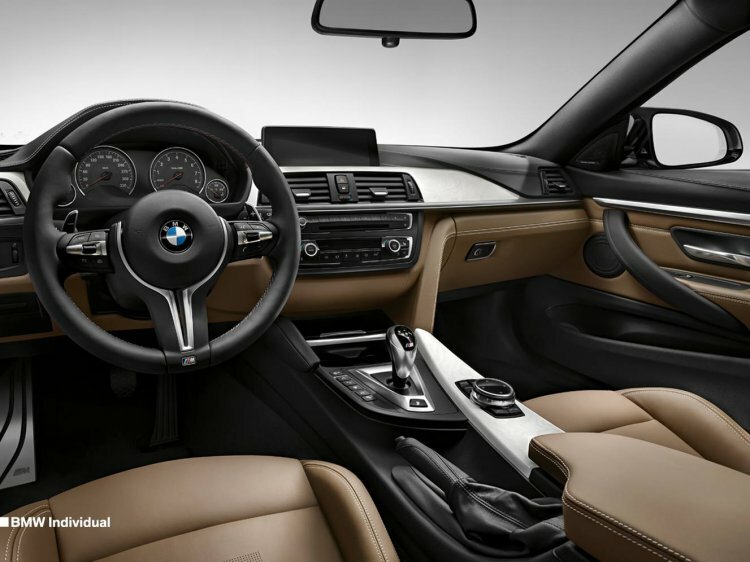 Options for the 2014 M3 Sedan and the M4 Coupe includes a heated steering wheel too. Staying true to the M monicker, performance upgrades that are available for the 2014 M3 and M4 include carbon ceramic brakes, double-clutch transmission with Drivelogic, carbon fibre roof and active M suspension. They are also likely to get active blind spot detection, side and top-view cameras, full LED lights, heated steering wheel, lane departure warning, heads-up display and rear view camera as options.